Every Magician Needs A Shrink. --------------------------------------------------------------------------- A half inch ball and a 3 inch tube is shown and can be handed out for inspection .The ball Shrinks to half its size inside a the small ball is removed and can be examined along with the tube. 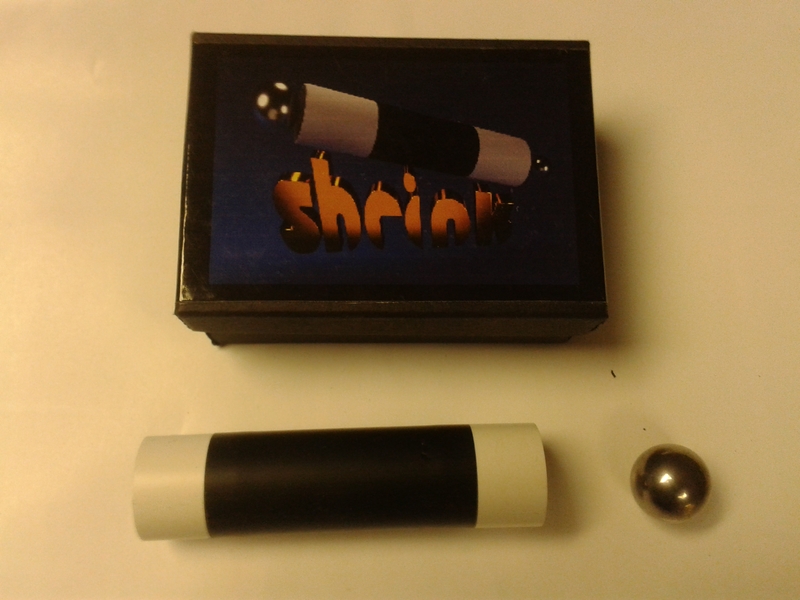 You can show the ball getting smaller and the getting bigger as many times you like and to as many spectators as you like before you remove it from the tube to show that it has really Shrunk.